Helping those working/living with people on the autism spectrum understand and support them better and adequately. Through training, guest speaking and advocacy services. This course is suitable for those individuals with little or no understanding of the autism spectrum disorders such as parents or carers who have had a family member recently diagnosed or professionals interested in working with people on the autism spectrum. This is an interactive basic awareness course. A gentle introduction to the autism spectrum disorder, its variations, leading to a basic understanding of the autism spectrum disorder and how it manifests in individuals differently. This course covers, triad of impairments and sensory processing. Personal and professional experiences are shared throughout the session to illustrate and bring balanced experiences of caring and supporting individuals on the autism spectrum. *If you are looking for a course not in the list please contact us, we will send a full course list or discuss your training needs and develop a course to suit your organisation's needs. This is an interactive course that goes into depth autism awareness. A recap of basic awareness and introduction to the autism spectrum and its variations. This course covers, triad of impairments and sensory processing. Also, it covers how to apply best practice while working and supporting people on the autism spectrum. Also, this course gets into further detail looking at different brain wiring and autism, different models of autism, prevalence rates, causes, etc. Personal and professional experiences are shared throughout the session to illustrate and bring balanced experiences of caring and supporting individuals on the autism spectrum. Assessment: On going group discussions, activity, question and answers, creating a one page autism awareness/information leaflet. In this talk about disability we use personal and professional experience and focus more on the positive aspects for people with disabilities, their families and others. The talks focus on positive, strength and attributes of individuals on the autism spectrum. We use real examples and role models to challenge attitudes and what may be viewed as negative into a positive. We talk about positive elements and benefits of supporting people on the autism spectrum and viewing the diagnosis/label use it as a key to opportunities, a gateway to support, understanding, etc. for the individual/family. Day 1: This is an interactive course that goes into depth autism awareness. A recap of basic awareness and introduction to the autism spectrum and its variations. This course covers, triad of impairments and sensory processing. Also, it covers how to apply best practice while working and supporting people on the autism spectrum. Also, this course gets into further detail looking at different brain wiring and autism, different models of autism, prevalence rates, causes, etc. Day 2: Second day looks at the current legislation and law when assessing and supporting individuals on the autism spectrum. Also, using autism awareness and understanding we look at how we can adjust and individualise/personalise assessment and support for people on the autism spectrum. Personal and professional experiences are shared throughout the session to illustrate and bring balanced experiences of caring and supporting individuals on the autism spectrum. *You do not have to attend first day if you have already done Principles of autism and will pay half of the fees. Contact us if you would like to discuss this option. This course can be taken following an autism spectrum awareness course. It is to help understand, support and manage individuals on the autism spectrum who may present with behaviours that challenge. This course is not about positive handling and does not illustrate or advise on physical intervention techniques. However, it looks at theories of behaviour and general attitudes towards anger behaviours that challenge. Also, the course looks at how those working and supporting people on the autism spectrum can be proactive and reactive to behaviours that challenge? Personal and professional experiences are shared throughout the session to illustrate and bring balanced experiences of caring and supporting individuals on the autism spectrum. Understand anger behaviours that challenge while supporting individuals on the autism spectrum? Have discussed the likely causes of anger and behaviours that challenge? Understand how they can promote positive behaviours? This course is for those individuals who administer medication to those they care for. Also, it is for those who support service users take and or store medication. In addition, it is mandatory part of the care certificate for any care who handles medication. Medication awareness training does not only equip staff but assists with meeting Care Certificate theory requirements and CQC registration. *All our training and courses can also be tailored and delivered at your own venue across the United Kingdom and abroad. ​ACAE is a training and advocacy enterprise on autism and related conditions. ACAE utilises the skills and experience of its founding member who is a qualified trainer and has fount of experience supporting people on the autism spectrum and related conditions (comorbidities). This professional experience is complimented by over 10 years of personal experiences as a mother of two boys with diagnoses of autism. Put together these experiences provide in depth knowledge presented in interactive and relaxed atmosphere. Also, uses real life examples and co-deliver with individuals on the autism spectrum whenever possible. All the course content is engaging with quizzes and questions, leaving you with information to go away and apply what you have learned or urge to find out more and research. Training is delivered in various forms and courses can be made bespoke to your service and setting needs. For example, training for school staff, medical professionals, commissioning teams, social care professionals, public places, leisure places, employers, justice system employees, etc. ​ACAE’s training team will speak and work with you to identify the needs of your staff and tailor training to equip them with increased understanding and tools to support service users more appropriately. Got the diagnosis/label use it as a key to opportunities, a gateway to support, understanding, etc. In addition, at ACAE we are passionate and aware that there are differences that need to be taken into considerations while training and raising awareness. Thus we look at different backgrounds such as cultural, geographical and beliefs and how they impact on perspectives and understanding of invisible disabilities such as autism and mental health. We aim to raise awareness, support and empower people from different backgrounds and support professionals so that there is mutual understanding thus leading to better support of vulnerable people. Some of our recent work in pictures. The founder of ACAE is very passionate about raising awareness, appreciating impact, increasing understanding and support for those who have invisible difference and difficulties and their families in the United Kingdom. Also, she is very keen to do the same for other countries especially developing countries. She often says 'I am grateful for all the support and opportunities that me and my family have been afforded and I would like to do the little I can for others'. Yanela was born in South Africa and immigrated to UK at the age of 20 and has been settled in the UK ever since. When her children were diagnosed with Autism and as she was going through her journey her mind has always been with others especially in Africa. There are current talks about how can ACAE partner and work with different organisations in different countries. Yanela can be involved in different forms such as speaking or training to raise awareness around identifying autistic traits, early intervention and continued support for individuals on the autism spectrum, their parents and carers. Teaching and school professionals - because she knows from experience that school is one of the places that most if not all children on the autism spectrum find extremely difficult. ​If you would like to get involved and get more information please contact us using the details below. 'Autism Awareness and Empowerment until there is acceptance and appreciation of Individuality and 'Strengths'. *BSc in Psychology, Honours, First Class, *Autism Early Bird Training, *Level 3 Understanding and Supporting Individuals on the Autism Spectrum, *Level 3 Teaching Assistant,*Level 3 in Management, *Level 4 in Education and teaching,*Mental Health First Aid Certificate, *Team-Teach Tutor, *Applied Suicide Intervention Skills Certificate. Yanela’s interest on Autism was raised by a diagnosis of one of her two autistic sons ten years ago, she then took on every possible opportunity to learn about the condition this ranges from NAS Early Bird course to seminars and numerous workshops on Autism and related conditions. Also, she worked with NHS psychology research team as a volunteer because of her interest in autism related research and learning. Yanela has worked in various practical roles working with individuals on the autism spectrum as an outreach worker, PA, outreach facilitator and workshop facilitator. She has also worked with both professionals and parents as a seminar facilitator, trainer, tutor and quality assurer. Yanela has worked as an autism resource coordinator (ARC) for a successful Post Diagnostic Support Service for individuals on the autism spectrum. Her work as an ARC involved 1:1 and group work with individuals who has a diagnosis of autism putting a variety of plans and strategies to assist with understand their diagnosis, employment and volunteering, independent and healthy living skills in order for them to engage as fully as possible in their local community whilst working with their families and carers. In addition, Yanela has worked as an advocate for people on the Autism spectrum this ranges from organising pre-interview and pre-induction meetings with employers, representation at department of works and Pensions (DWP) medical assessments and interviews. Also, she was involved in creating care plans for individuals on the spectrum autism to be used in different settings, situations and organisation. In addition, Yanela sat in different local authority strategy planning meetings and advised commissioners on what services maybe commissioned for individuals on the autism spectrum and support in developing of local statutory guidance in line with current UK laws such as The Care Act 2014. Yanela is a qualified trainer who has recently moved from the North East, identified a gap in training services and opened her own training company ACAE Training to deliver a range of training courses and workshops catering for medical, educational, care professionals and others who work with individuals on the autism spectrum and related conditions. Additionally, Yanela is involved in writing and planning of credited and non- credited courses to suit different settings and providers. Yanela also provides motivational, guest speaking and advocacy support and services for carers and parents of individuals on the autism spectrum. This covers a range of topics depending on the need and audience. The training, advise and services that Yanela delivers is adverse and bespoke. Autism, other attention related conditions and mental health. 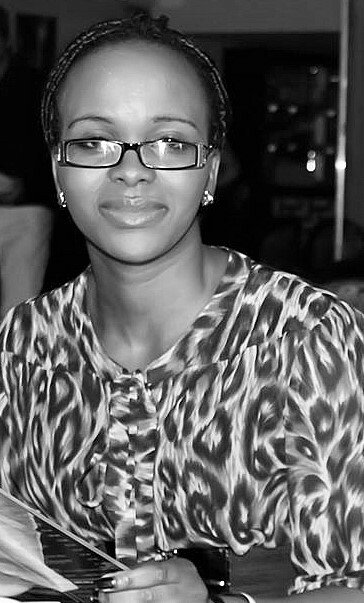 Yanela was born in South Africa and immigrated to UK at the age of 20 and has been settled in the UK ever since. When her children were diagnosed with Autism and as she was going through her journey her mind has always been with others going through similar circumstances in the UK and abroad. She is looking at educating everyone she can about autism, however, is very passionate about educating and empowering people by relating her own challenges, difficulties and success through her family journey. ACAE-Awareness, Comprehension, Acceptance and Empowerment of people with different needs is key. Registered in England, Company number 10381814 Copyright Reserved 2018.